I have been a busy little bee all week long. I made a long to-do list and every day I've been running around getting things checked off of it. I had some stuff to take care of down in Fayetteville so I spent the majority of my day down there. Since I was so conveniently close by, I decided to pop by Rick's Bakery and get myself some goodies. Thank goodness Rick's is a 30 minute drive from me otherwise I fear how much I would visit that place! 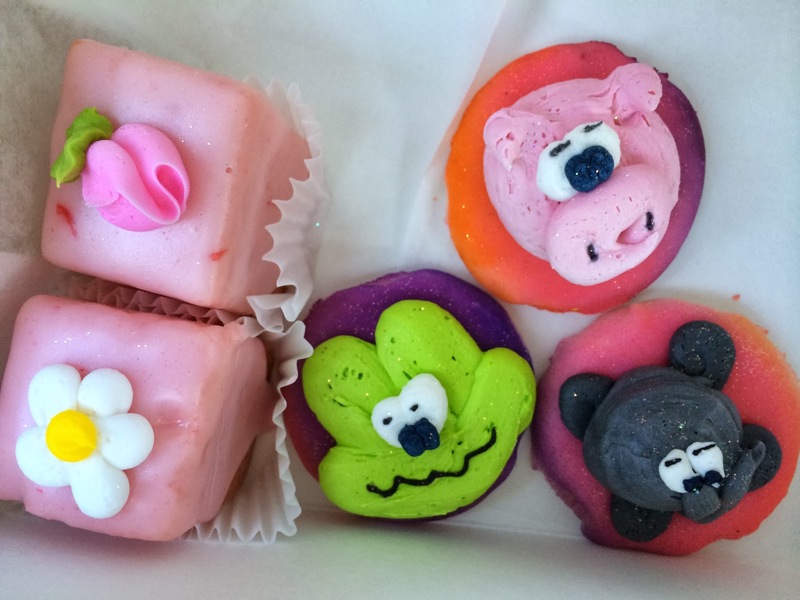 Their little treats are entirely too delicious. One of the main reasons I went to Fayetteville is so I could get some new house shoes. 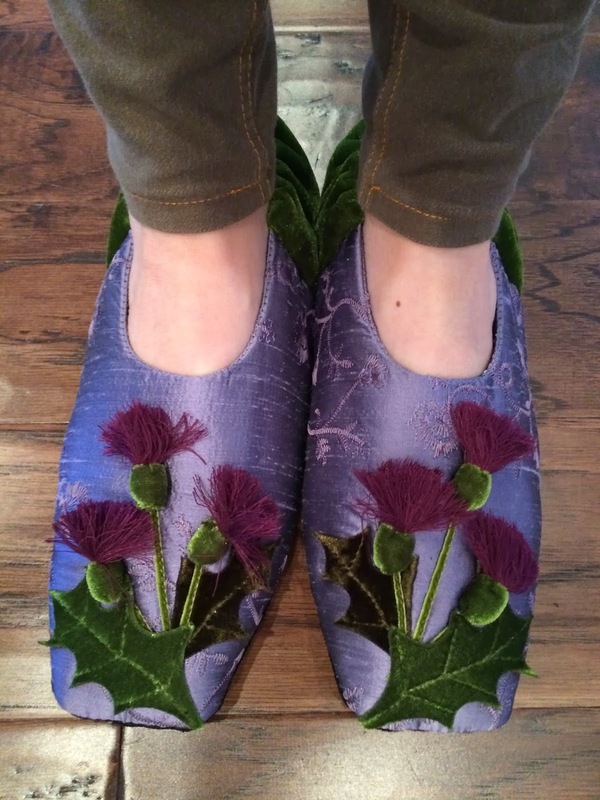 My friend, Jax, gave me some Goody Goody Slippers as a bridesmaids gift a few years ago and I love them! I wear them daily. I made the mistake of washing mine a couple of weeks ago and it didn't damage the appearance of them but it ruined the cushioning inside. I tried really hard to get the cushion to smooth out but was unsuccessful so I decided I would just go grab myself a new pair. They sell them at French Quarters on the square in Fayetteville for anyone in NWA who wants to go get a pair! I settled upon these and I love them! I could seriously own a dozen pairs of these things. Not only are they so uniquely pretty but they're super comfortable as well. I also popped in the Fayetteville mall while I was there and of course I stopped in baby gap. Gap is having a 30% off your entire purchase sale going on right now which was incentive enough for me to get Campbell a few little outfits! I settled upon these four items and I think they're really cute. When I got home with my sack and Scott pulled out the graphic rugby tee, he gave me a very disapproving look! It's not normally a clothing item I would gravitate towards but something about it was really cute to me so I went for it. Scott has such an opinion on Campbell's wardrobe and I honestly kind of like it. If we were having a girl I would want him to keep his opinion to himself (haha!!) 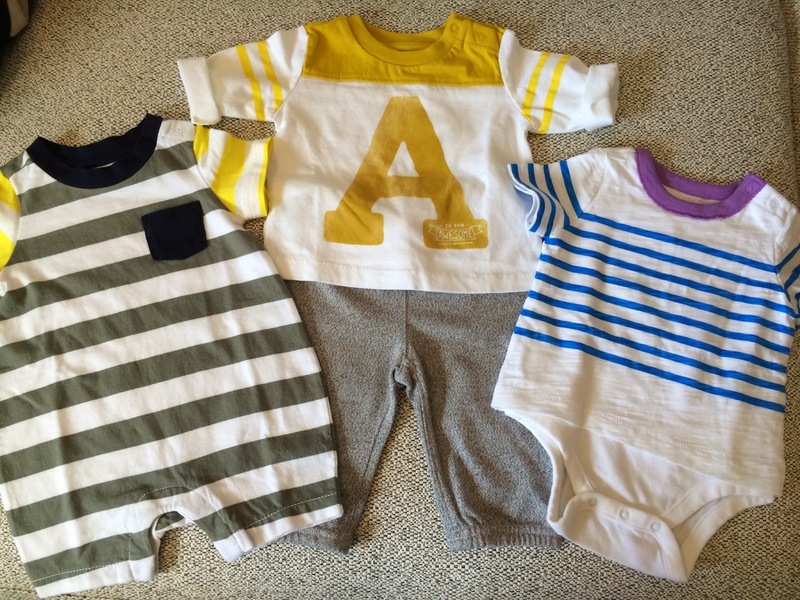 but since we have a little man on the way I like getting Scott's opinion on his clothes. After being gone all day I'm finally home now and ready to chill out, relax and watch my shows! I'll see you all back here tomorrow!